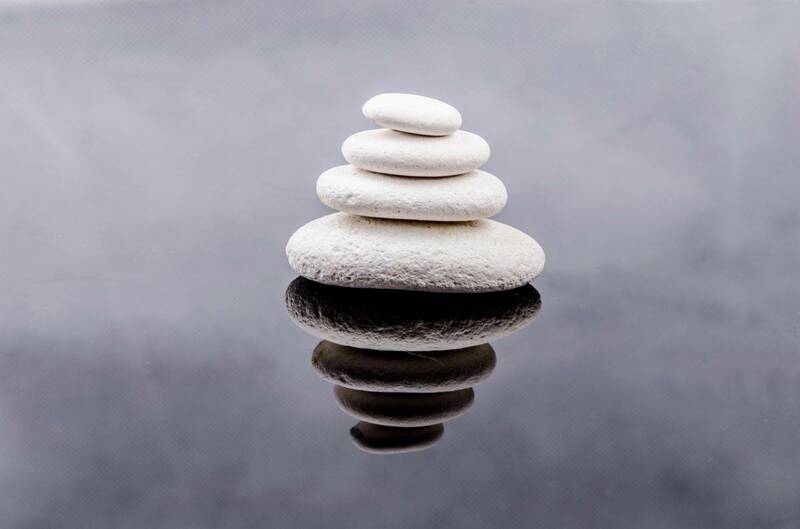 Hot stone reflexology is a treatment which uses hot and cold stones to bring deep relaxation, balance and promote the body’s self healing ability. It is estimated that one stroke of a heated basalt stone is the equivalent of 5 strokes of the therapists hand, resulting in a treatment which is 5 times deeper with longer lasting results! During a hot stone reflexology treatment heated stones will be placed on your body while you lay on your back or your front (depending on which you find most comfortable). Heated stones are then used during the treatment to work on the reflexes on your feet; cold stones may be used during the treatment, but if you would prefer that I didn’t you can mention this at the beginning of the treatment. The treatment will include a lower leg massage. Cold stones are used to reduce any swelling or fluid build up. Using hot and cold stones during a treatment creates a healing, cleansing and nourishing effect on the body, due to the constant constriction and dilation of the blood vessels, improving the efficiency of the body systems, particularly the immune system. The cold stones are introduced during the reflexology treatment gradually, so that you are not shocked by the transition from hot to cold.